Sometimes, I get weird dreams. Like this one time I woke up from my slumber and groggily told Mike “I had a dream. It was about Snoopy and the Peanuts Gang. 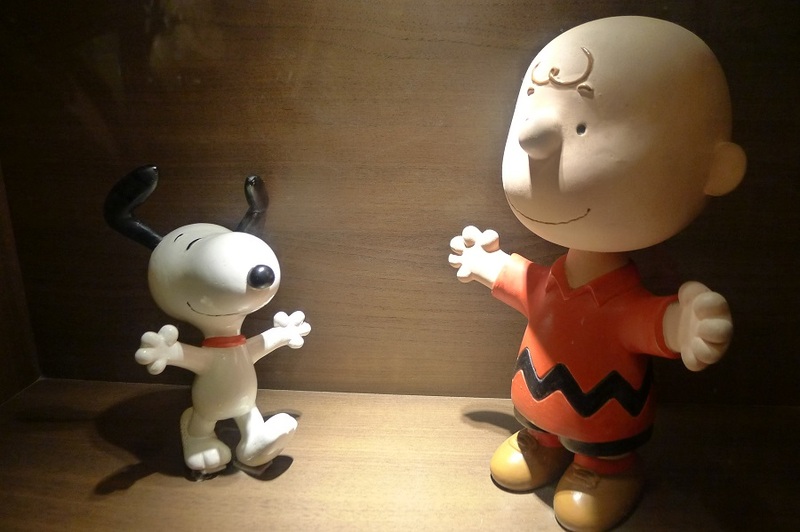 I saw Charlie Brown… and Woodstock…” In my dream, they weren’t even doing anything. 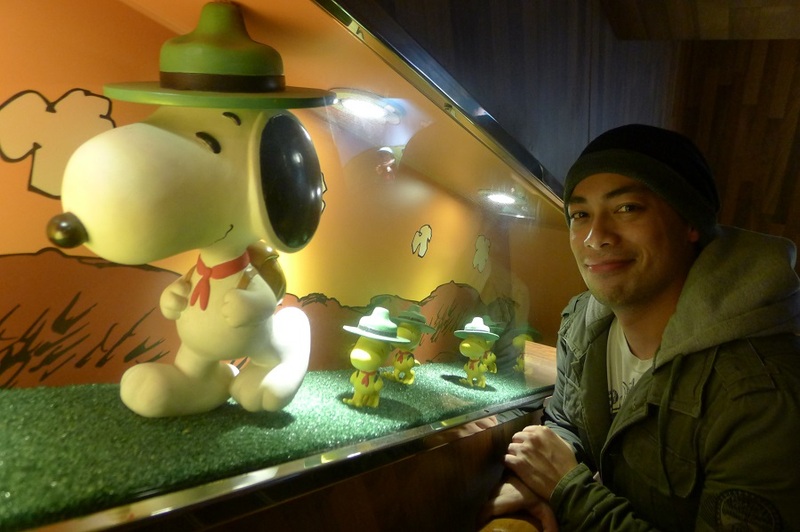 And prior to having that dream, I haven’t even seen, read, or watched anything Peanuts-related. Talk about random! 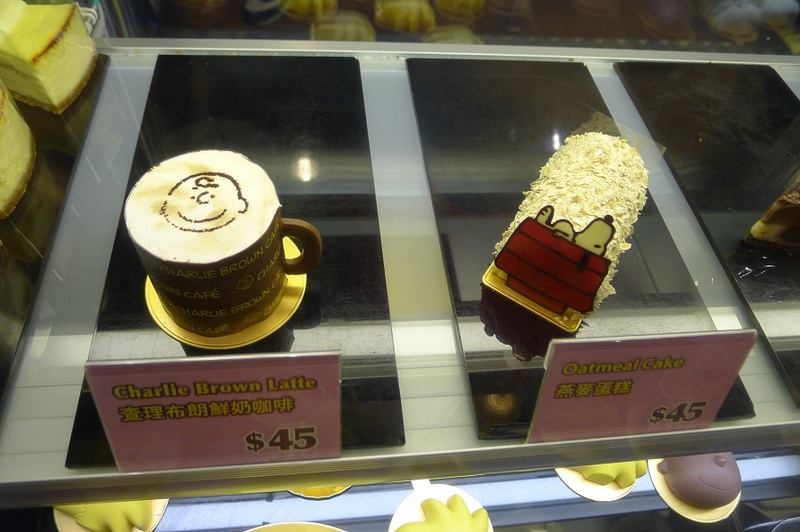 Then, months later, when I was doing our Hong Kong itinerary, I found out that there exists a restaurant in Tsim Sha Tsui called “Charlie Brown Café”! 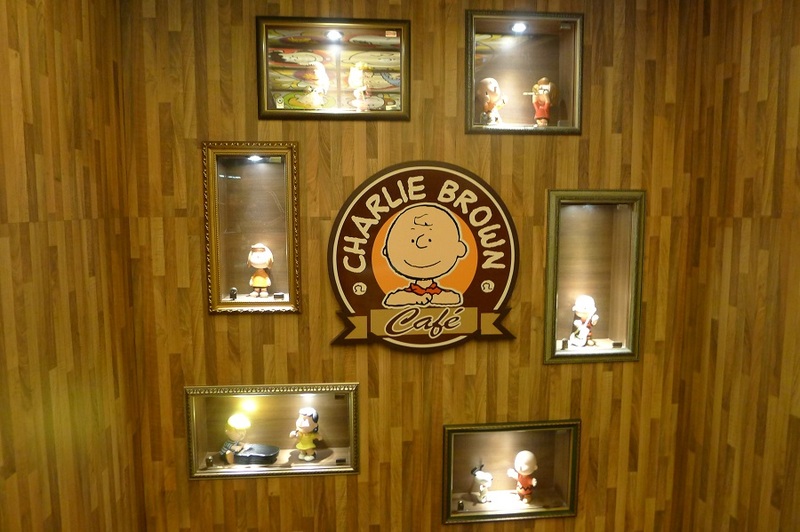 It was literally a Charlie Brown-themed coffee shop with pastries, merchandise, and even decors inspired by Charlie Brown and his pals like Snoopy, Lucy, Linus, Peppermint Patty, and more! 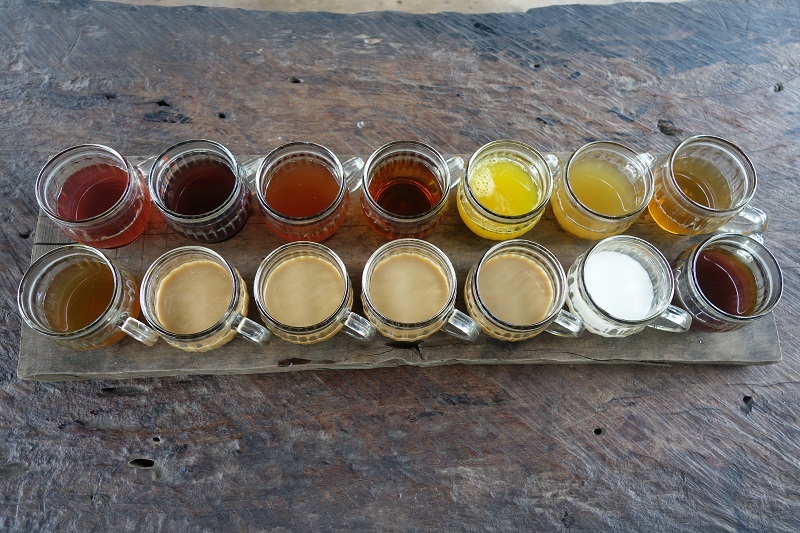 Best of all, it was just a hop away from Hop Inn, our hostel, which was located in the same street as the café. 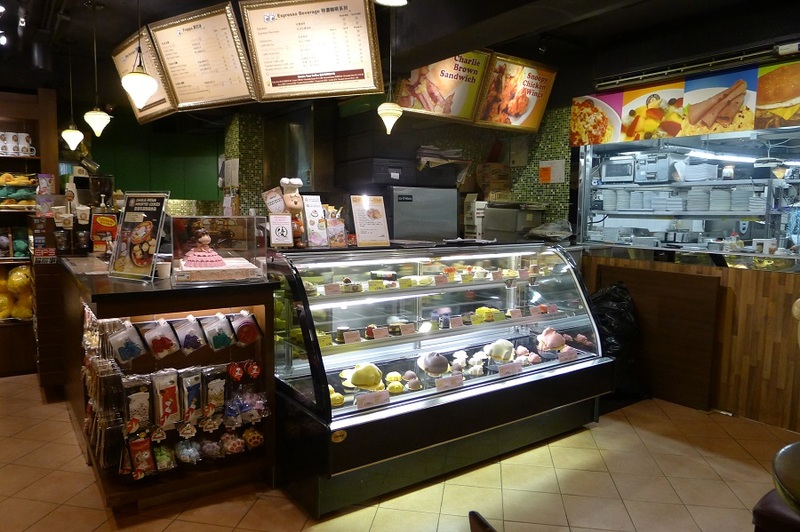 Hmm… first, the dream, then, the café! 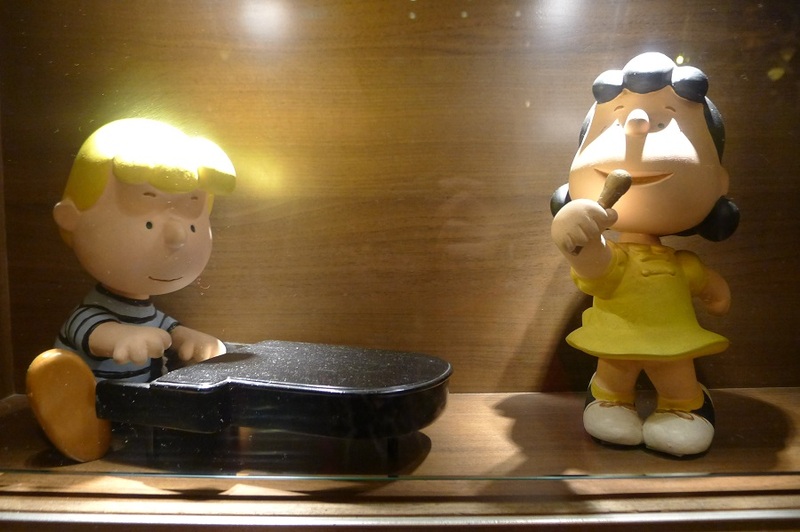 Could it be fate that had brought me closer to the Peanuts bunch? 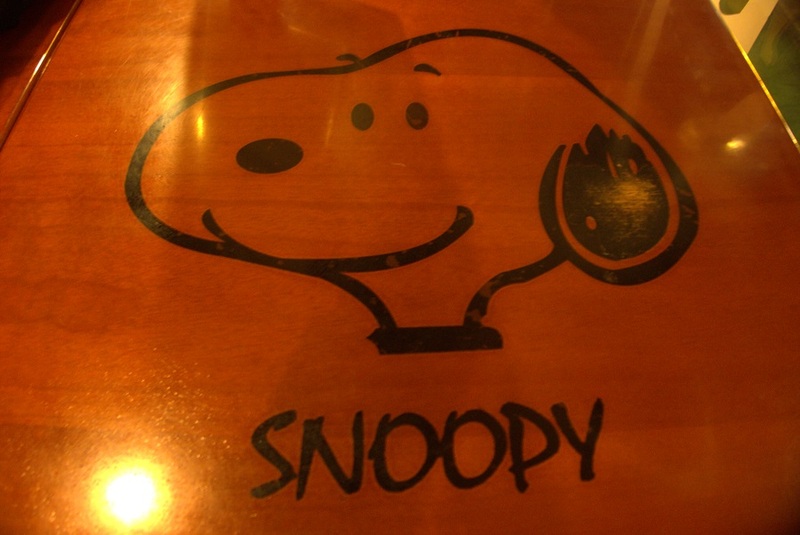 Maybe Snoopy is my spirit animal! 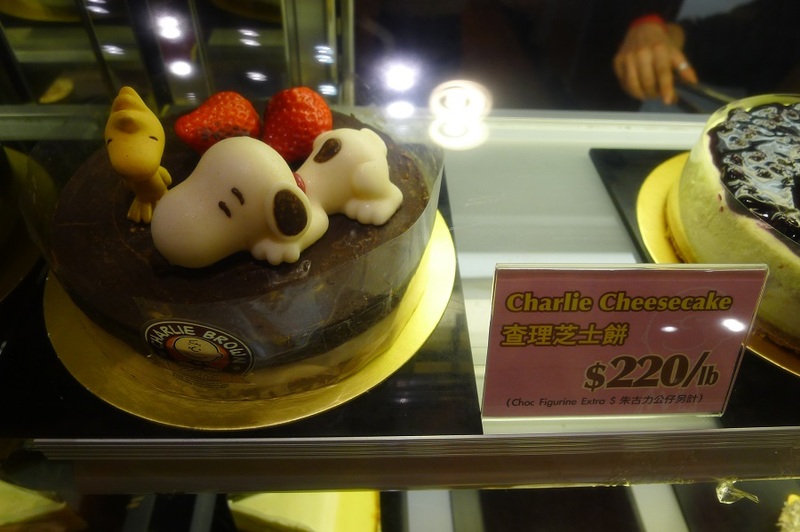 Since it was my birthday (and also Eric’s, which was pretty neat coz I don’t know of many people who share the same weird leap year birthday as mine), I told him, Paula, and Mike that I wanted to spend it in Charlie Brown Café… and have a Snoopy cake for my birthday cake! What the birthday girl wants, the birthday girl gets! 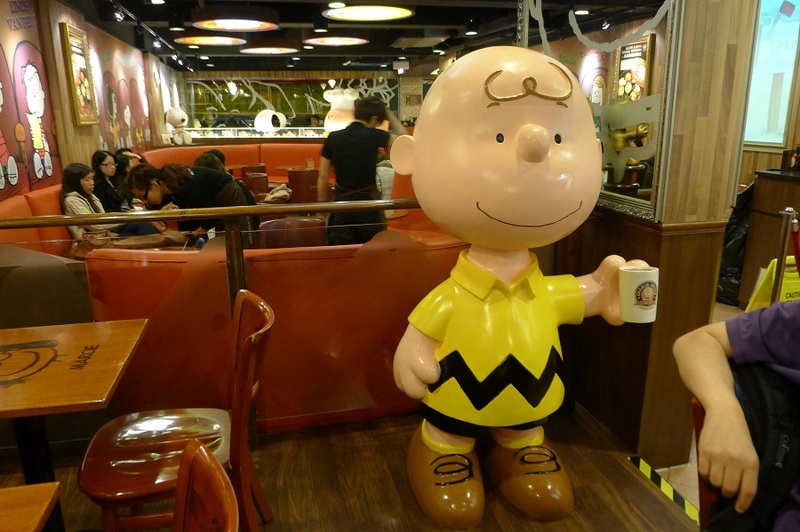 There are two Charlie Brown Cafes in Hong Kong — one in Cameron Road, which is the flagship branch, and another one in Tai Koo. 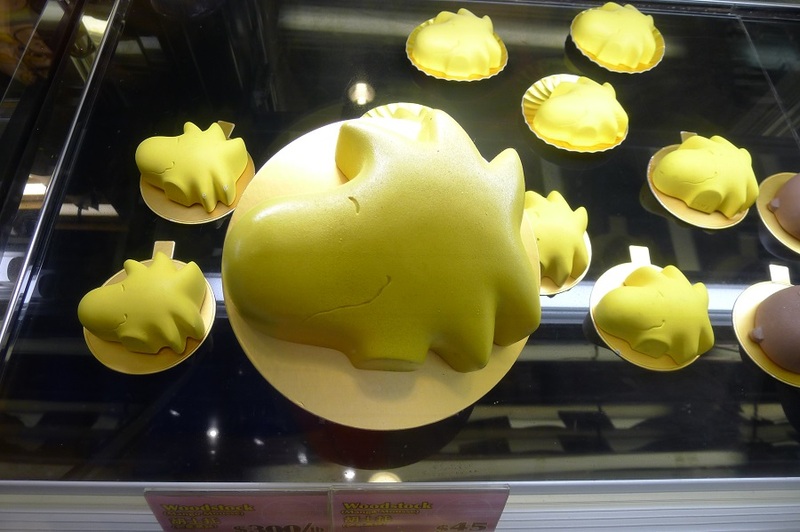 The one we went to is the Cameron Road branch in Tsim Sha Tsui, which is just a few steps away from Nathan Road. 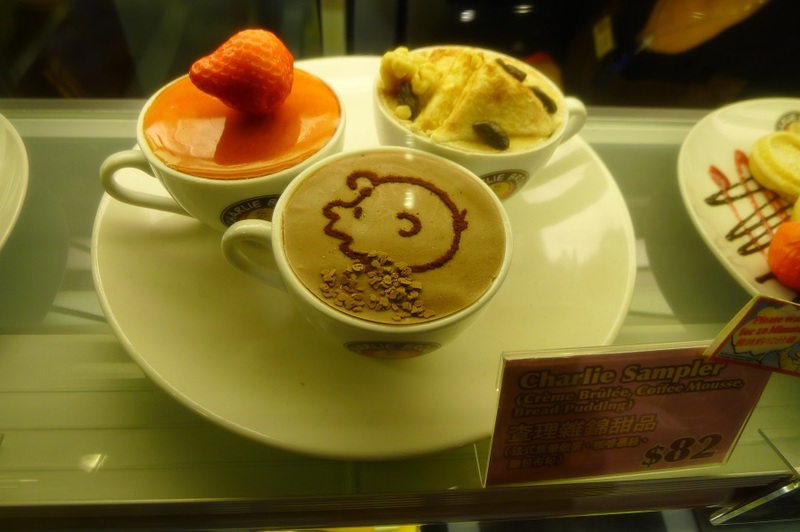 The café is on the second floor, and as you go upstairs, you will be greeted by cute little figurines of Snoopy and his buddies. A fair warning: “cute” is going to be an overused word in this blog post. When you scroll down and see the photos, you will understand. 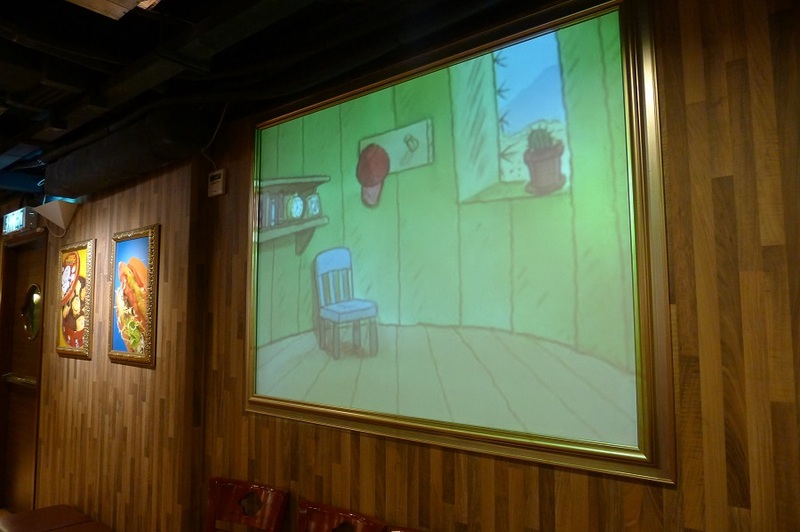 When you finally reach the second floor, you will be in Peanuts Paradise! 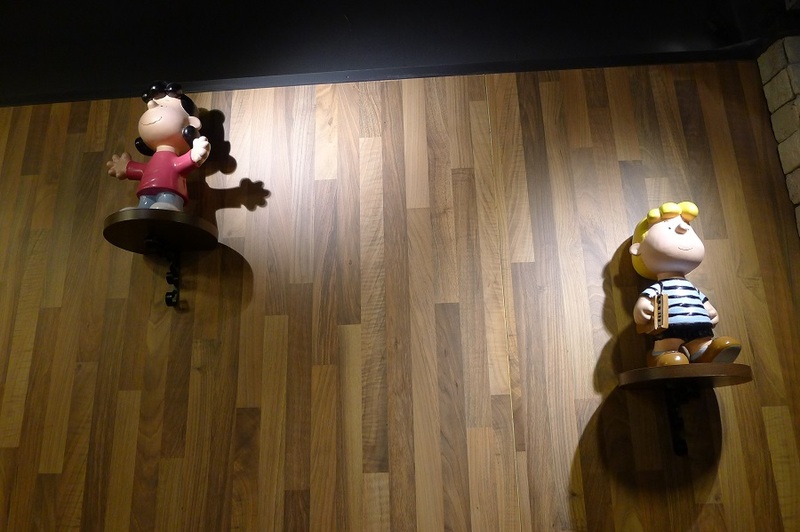 If you’re nuts about the Peanuts gang, or, if you’re like me who grew up reading Peanuts comic strips, visiting Charlie Brown Café is going to be like a dream come true (essentially, it was like a dream come true for me. 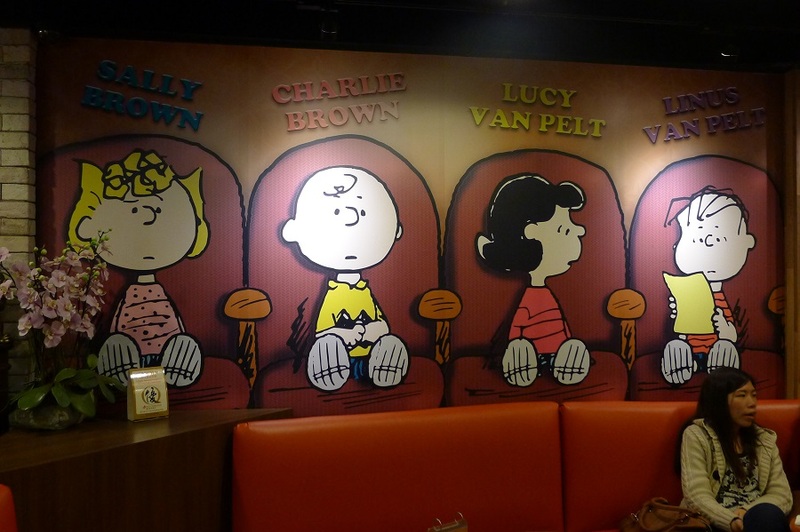 I had a dream about the Peanuts gang, and then I found myself in a Peanuts-themed café!) 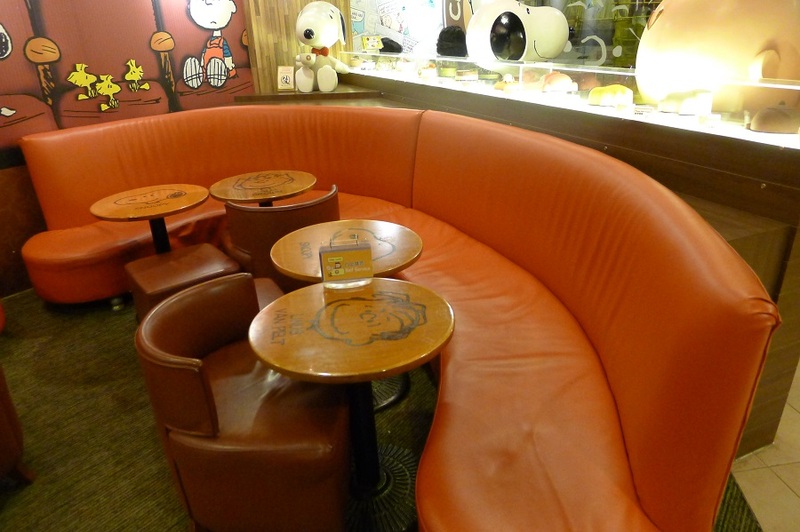 Everywhere you look, whether it’s on the walls, the chairs, or the tables, you’ll find a Peanuts character. 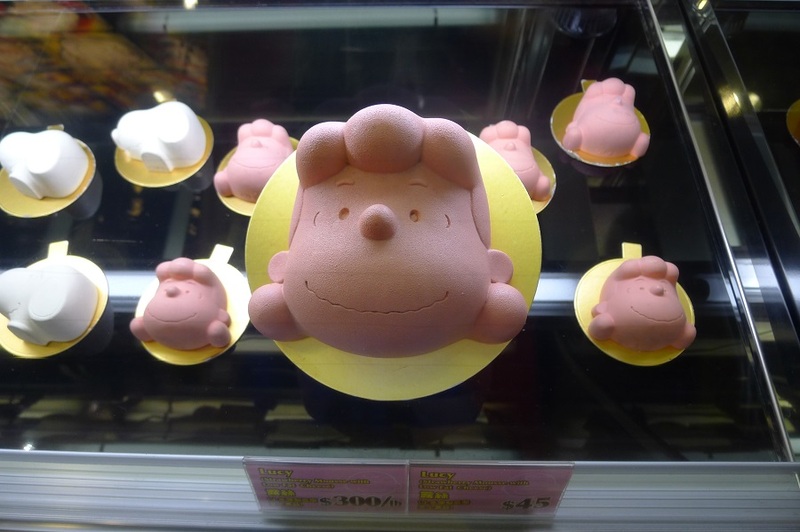 It’s such a delight to enjoy some snacks and beverages while being surrounded by a Charlie Brown figurine, a statue of Linus, a drawing of Snoopy on the table, or a cartoon of Sally on the wall. 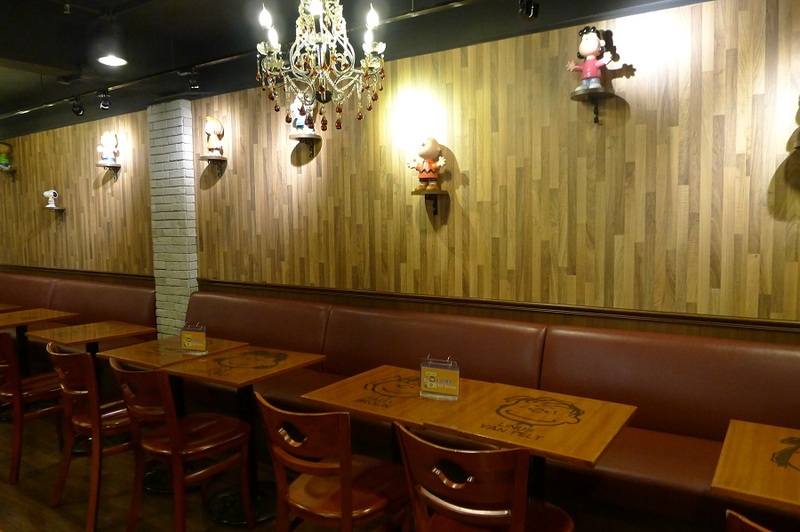 I bet some people come here more to check out and take pictures of the interiors. 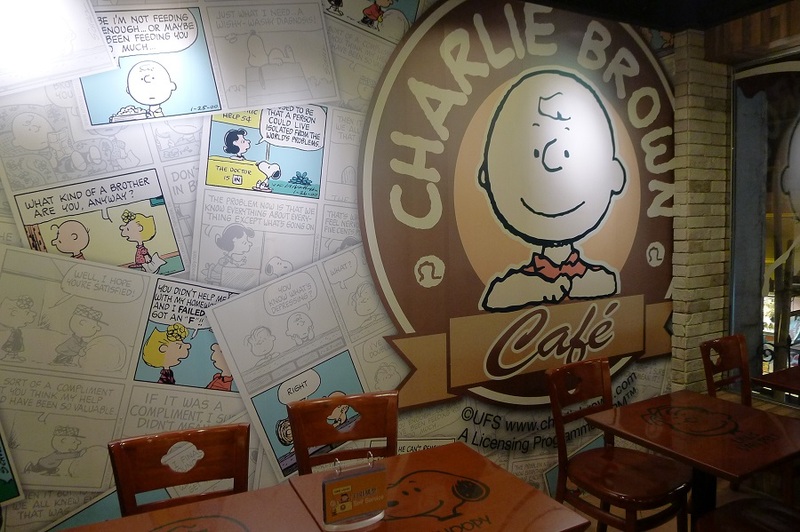 You can have coffee and cake anywhere, in any coffee shop, but having coffee and cake in Charlie Brown Café is just more fun and unique! 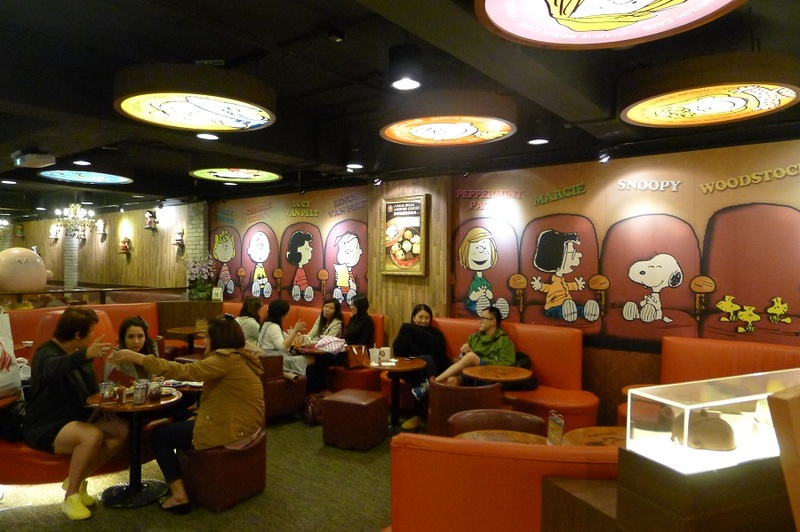 Actually, it’s more like a mini Charlie Brown museum or park than a coffee shop! 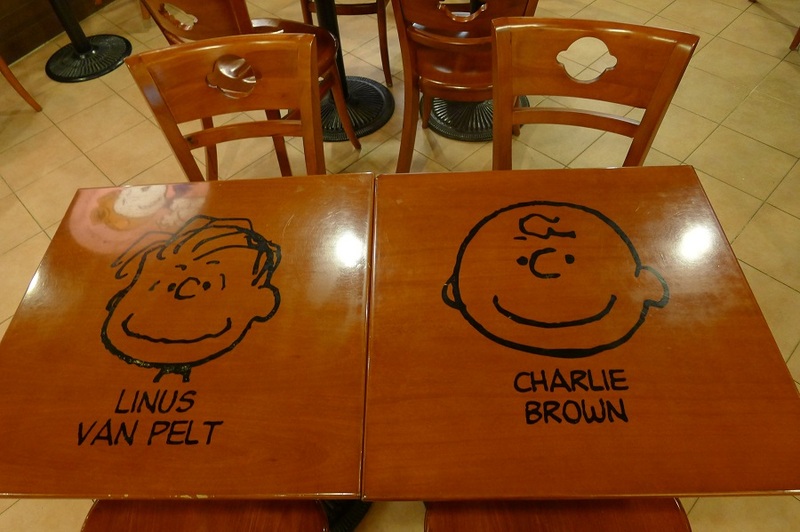 Mind if Linus and Charlie join you for coffee? 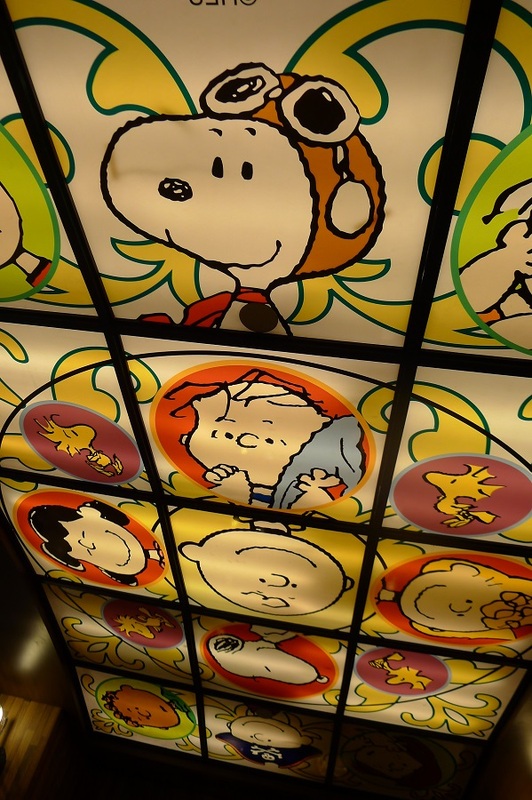 Look up the ceiling to see the colors and cuteness! Got some time to kill? 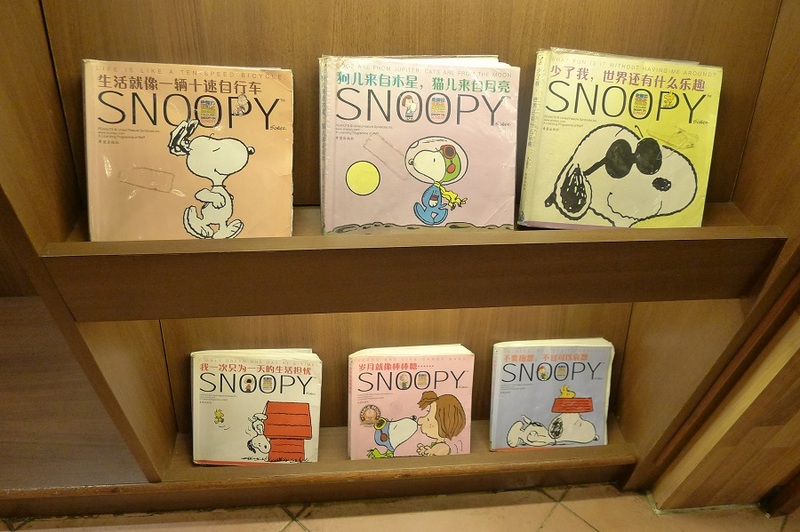 Why not browse through some Peanuts comic books? Judging the books by their cover though, they might be in Chinese. 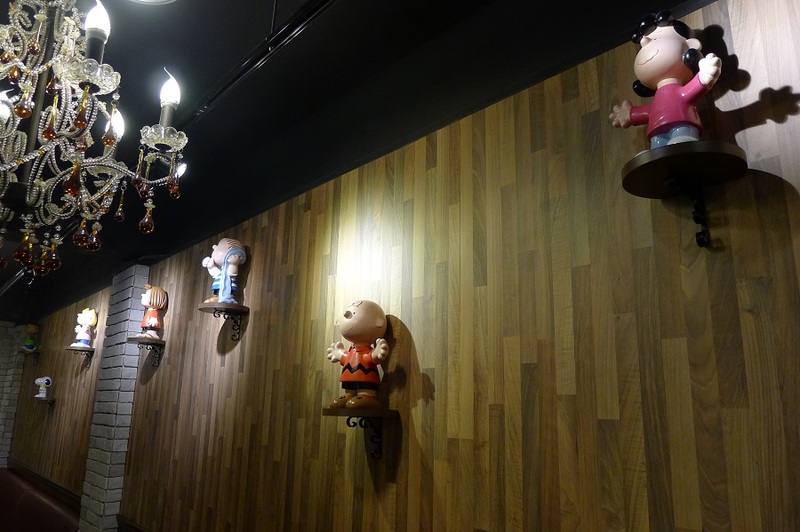 The homey and cute –there goes that word again– interiors of Charlie Brown Café make everyone feel at home. 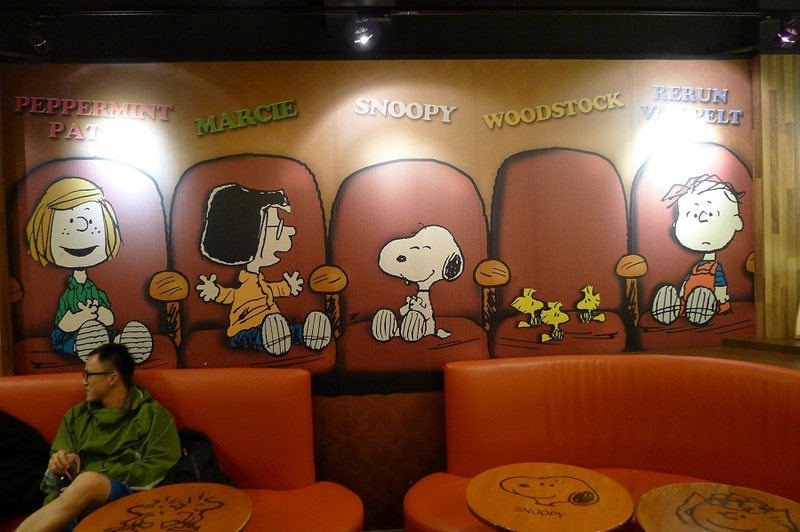 …or you can also sit with Peppermint Patty, Marcie, Snoopy, Woodstock, and Rerun Van Pelt! 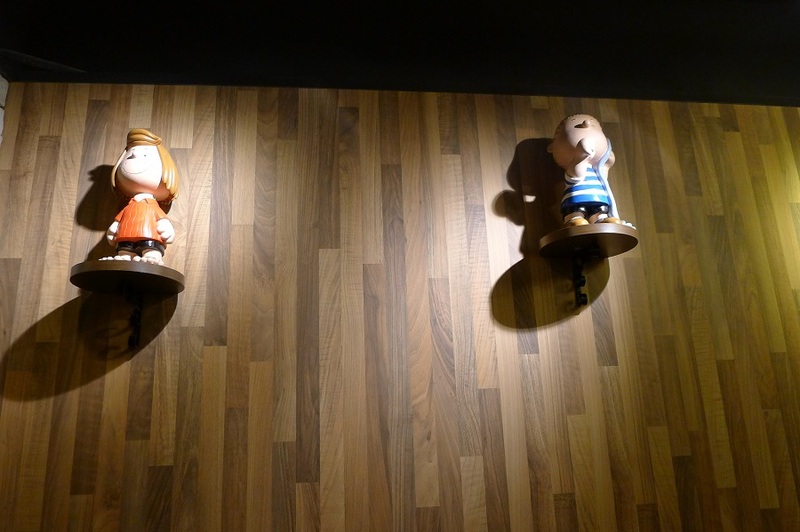 You’ll never feel alone at Charlie Brown Café. 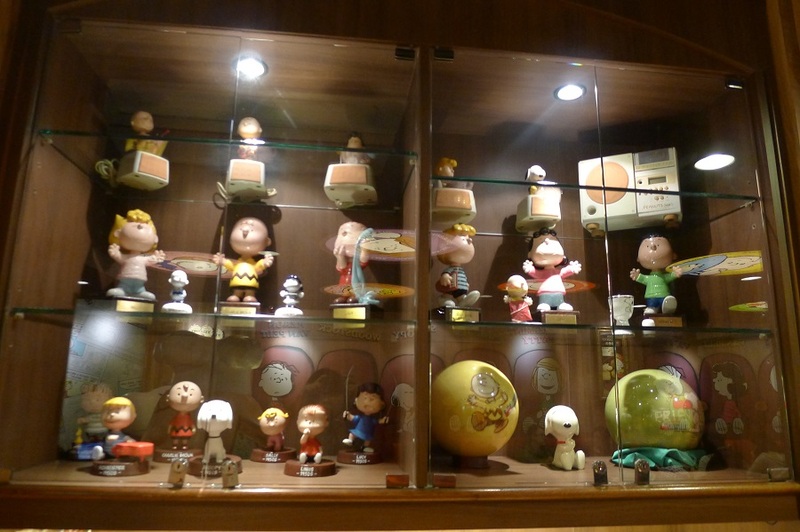 You’ll be surrounded by friends — your Peanuts friends! Here they are, watching over you from the walls. 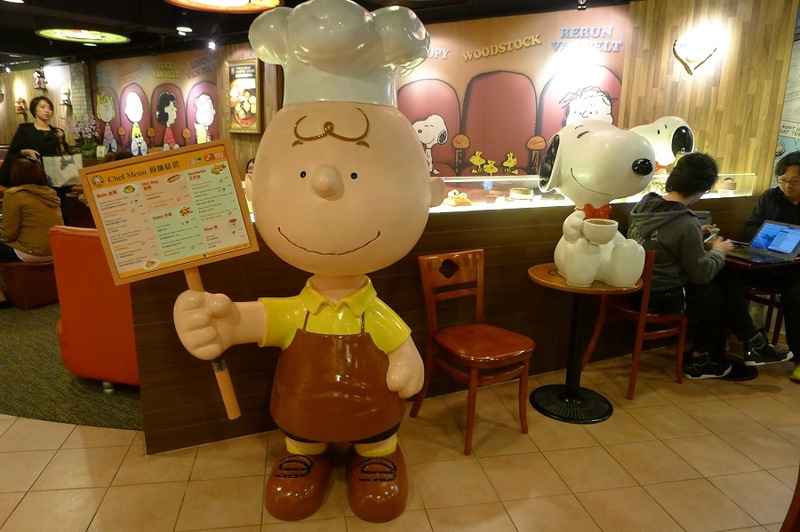 You’ll also see a life-size figure of Charlie Brown (and Snoopy) inside. Bring out your cameras coz you’ll want to have your photo taken with this one! 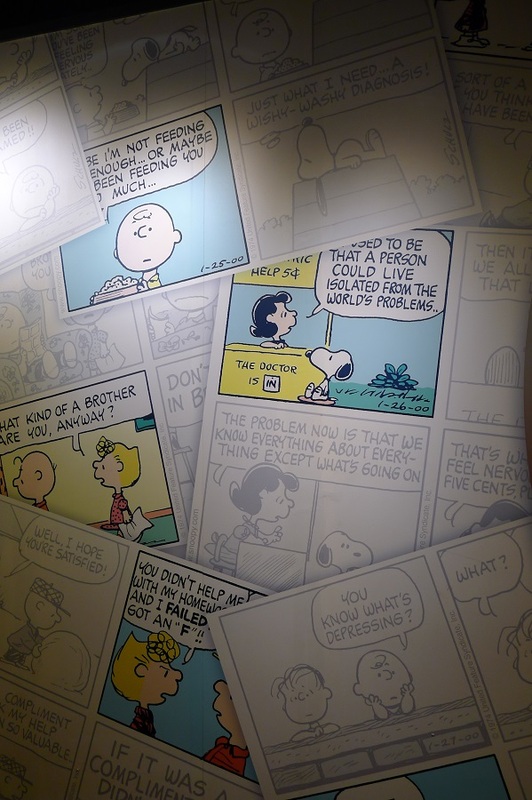 This comic strip wall brought back a lot of memories for me! 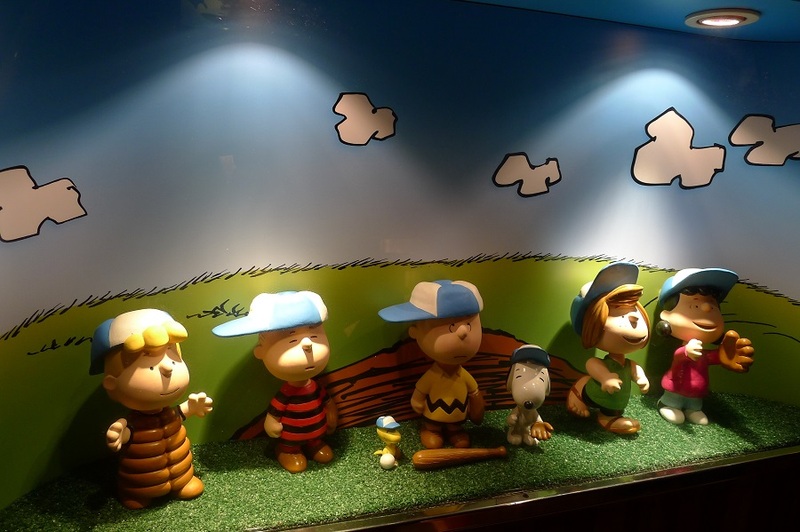 Peanuts will always be a part of my childhood. 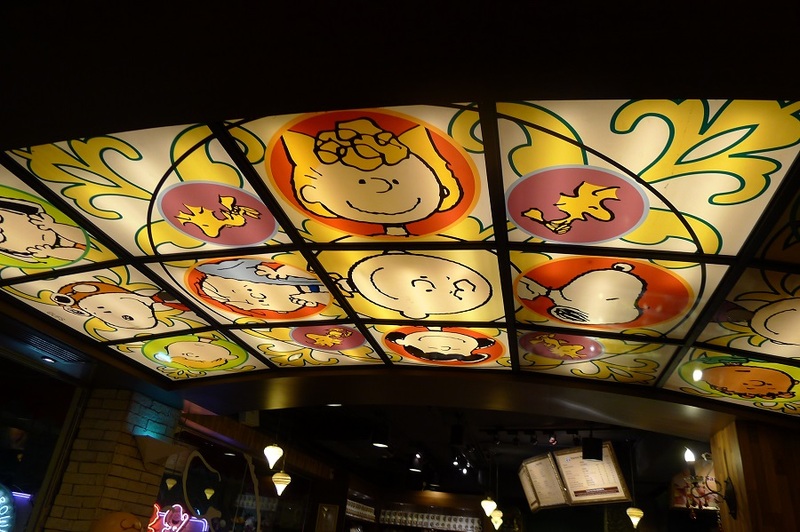 Peanuts ceiling, Peanuts wall, Peanuts cakes… what else? 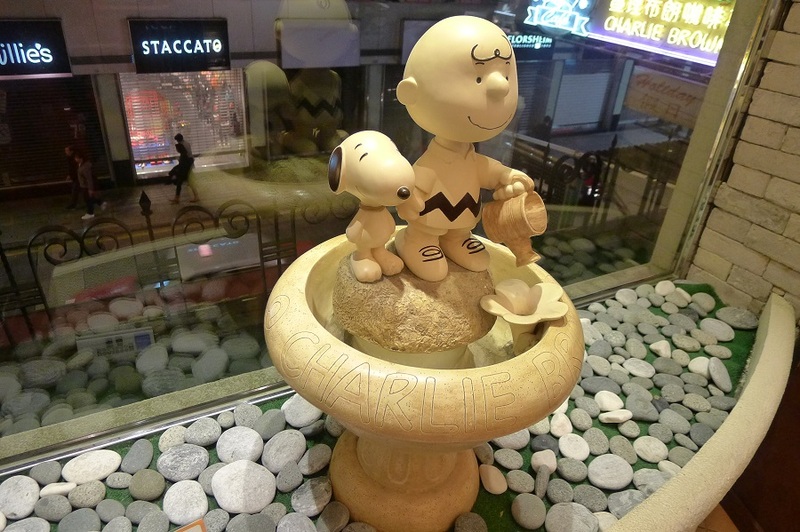 Oh, how about a Peanuts fountain? 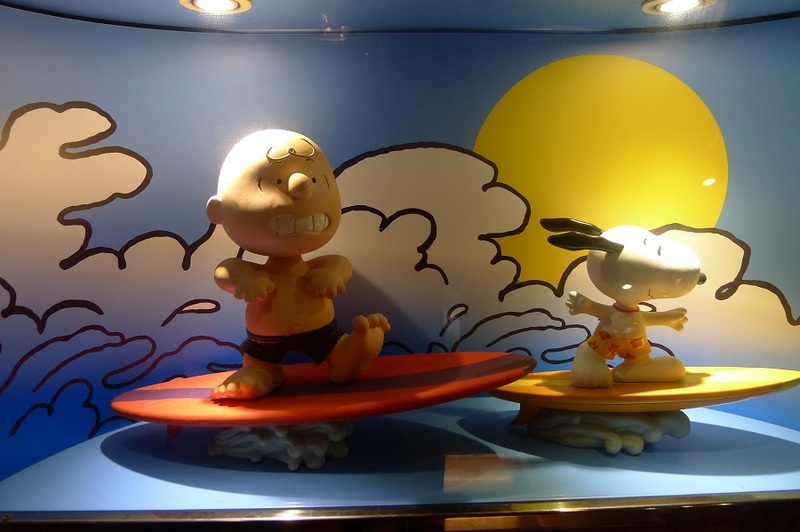 I told you, it’s a Peanuts paradise in here! 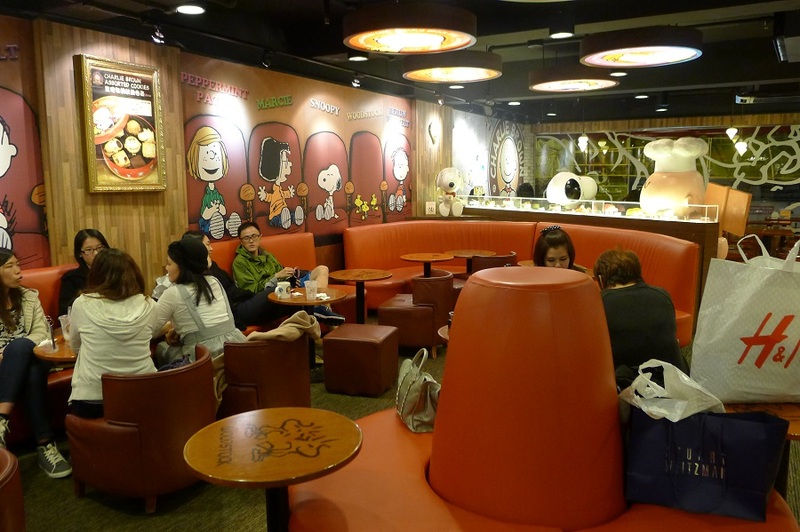 Now, I know that the interiors of Charlie Brown Café alone are already a visual feast. But let’s not forget that we visited the place to have more than just a visual feast, but also to have, well, an actual feast. With actual food. A birthday feast! 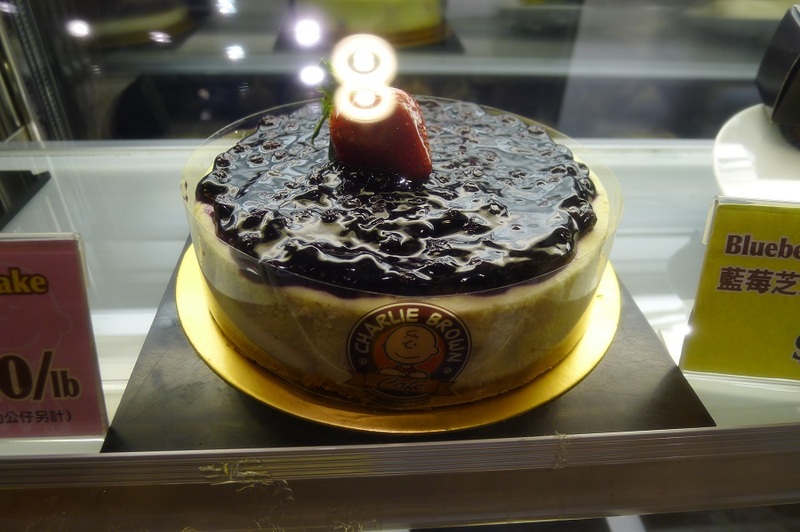 And what’s a birthday feast without cake, right? 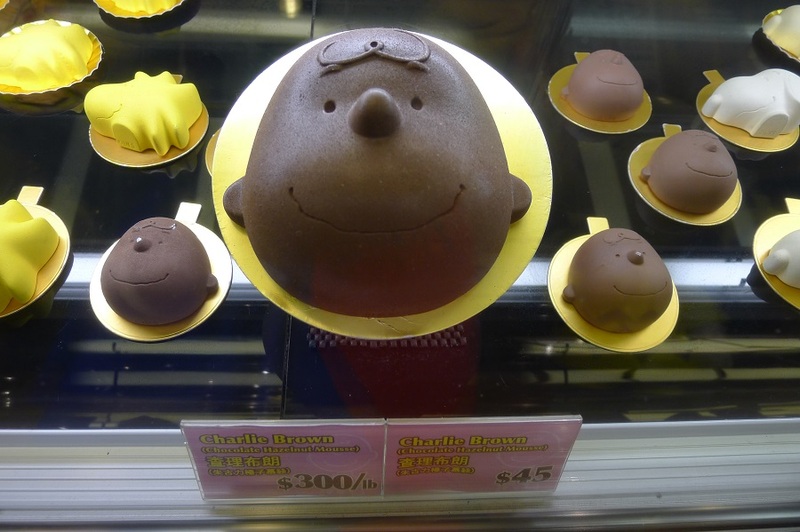 Well, Charlie Brown just made my birthday more memorable with their wide selection of — wait for it — CUTE cakes and pastries! I really liked the Mango Yoghurt Cake because: a) it’s refreshing and had just the right balance of sweetness and sourness, and b) it’s pretty! 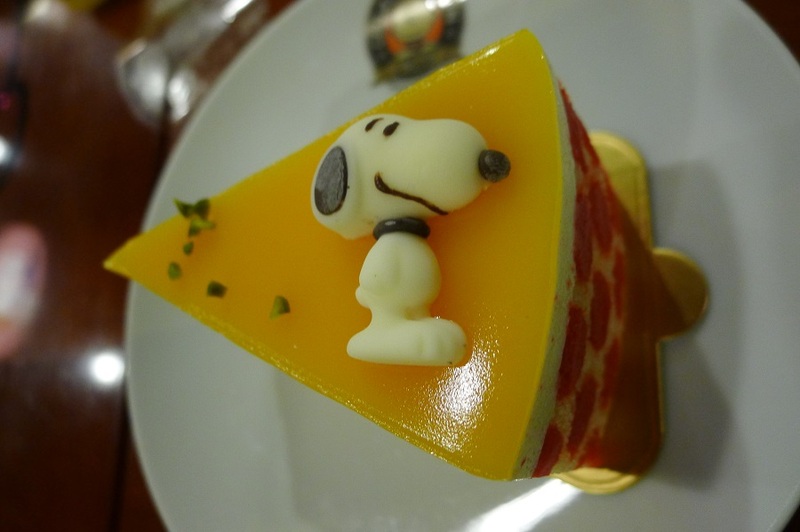 I was so excited to eat it but when I finally had to slice it with my fork, I had to have a moment of silence to appreciate its cuteness first (and of course, take a photo of it) before destroying it and chewing off Snoopy’s head. 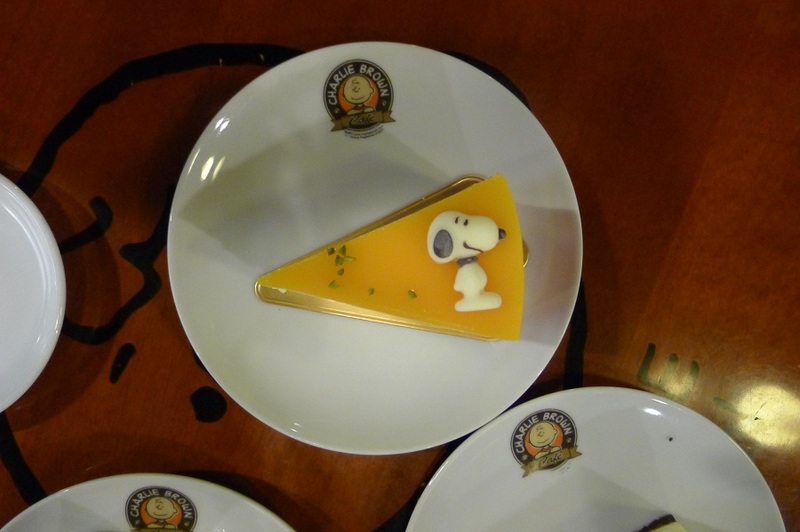 I didn’t realize that Snoopy would taste yummy! 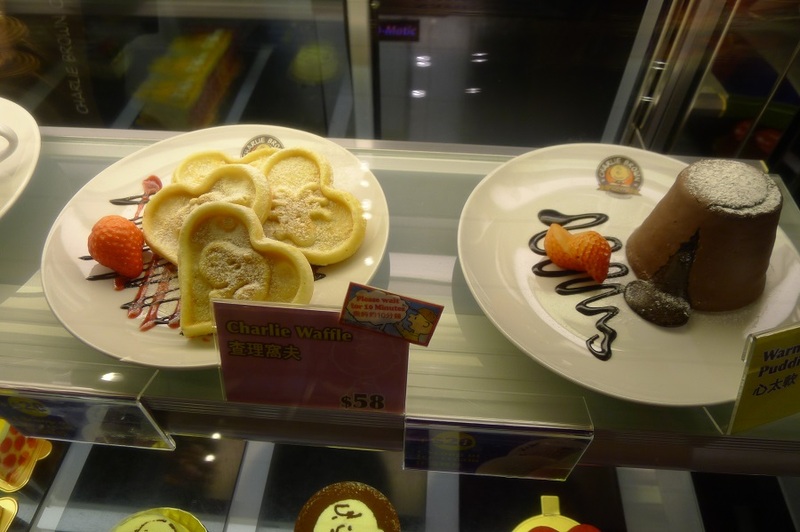 I honestly don’t remember how the other cakes tasted (or maybe I didn’t care because I was too happy with my yellow Snoopy cake) but I do remember that I liked the tiramisu. 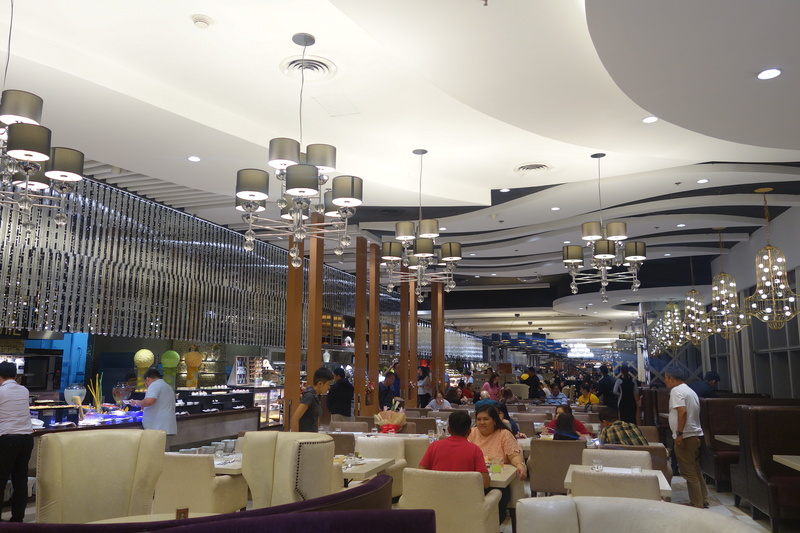 If you want more than just dessert, they also have plenty of meals and dishes such as burgers, soups, sandwiches, salads, hot dogs, pastas, and many more. 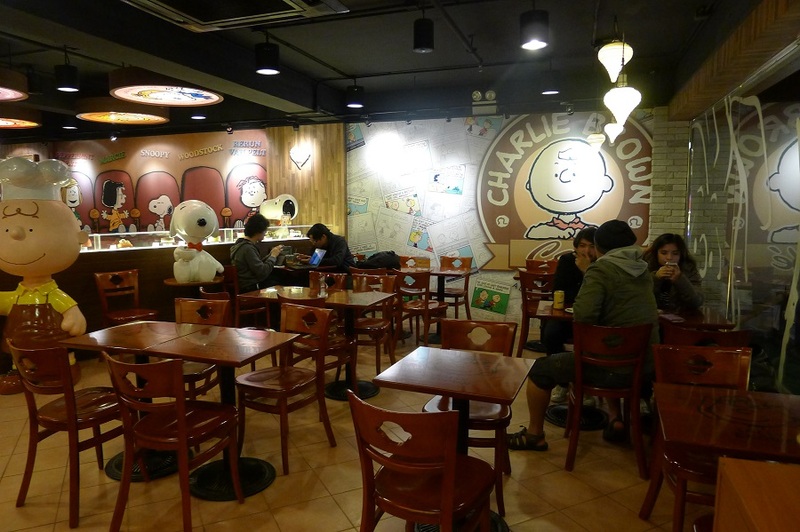 Charlie Brown Café uses organic condiments and are proud to say that their dishes are free from MSG and other artificial additives. 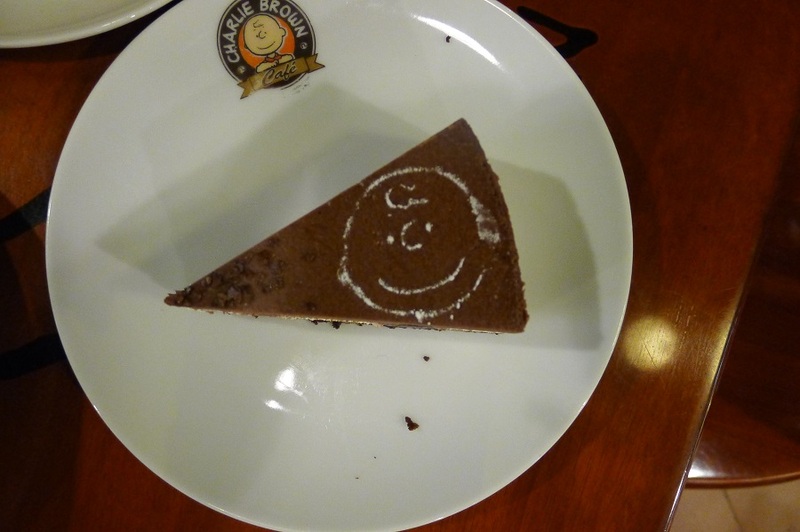 A café that is charming, makes you feel happy, and serves healthy food?! What more can you ask for? You can check their full menu here. 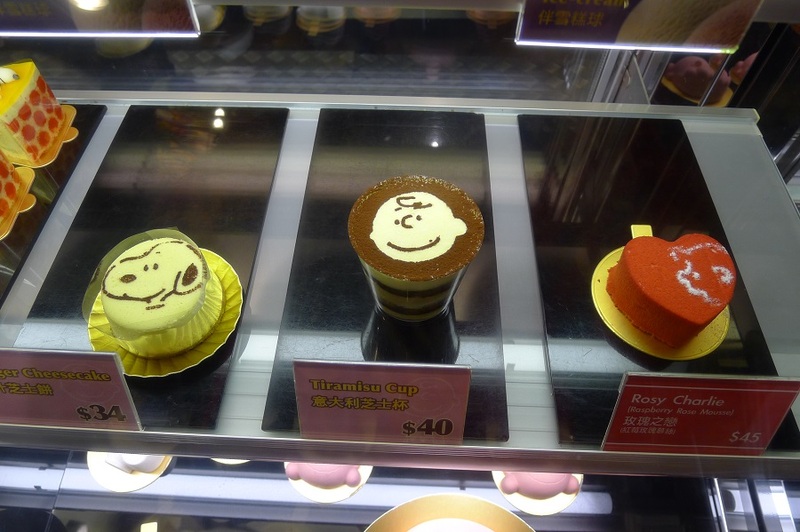 So after eating some Peanuts-themed cakes and being surrounded by Peanuts characters in this Peanuts-themed café, and you find that you still can’t get enough of Peanuts and the gang, don’t worry because you can bring a piece (or two) of them with you! 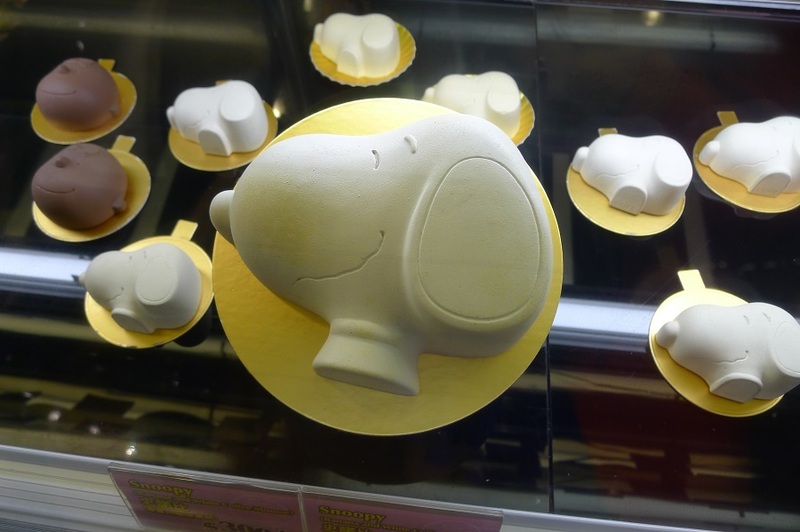 They sell Peanuts gifts and merchandise like mugs, stuffed toys, key chains, and pillows! 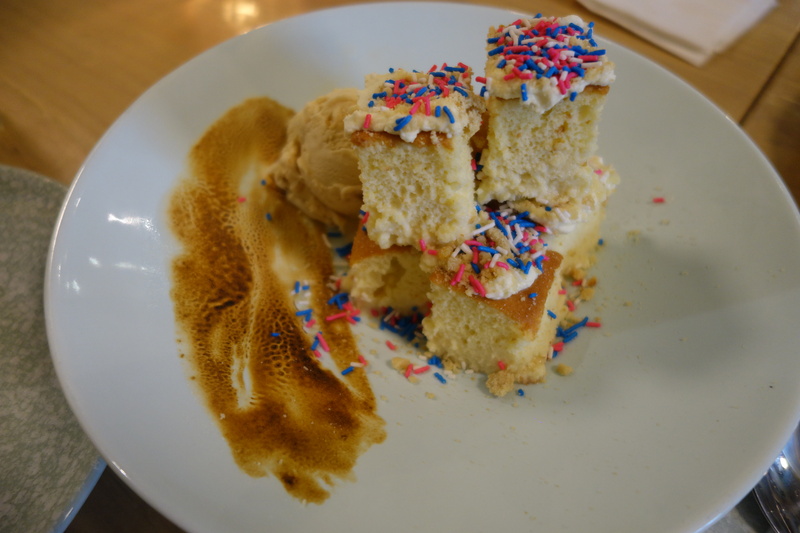 And that’s how I spent my 30th birthday — by turning a year older in a cute café that made me feel young, like I was a kid all over again. 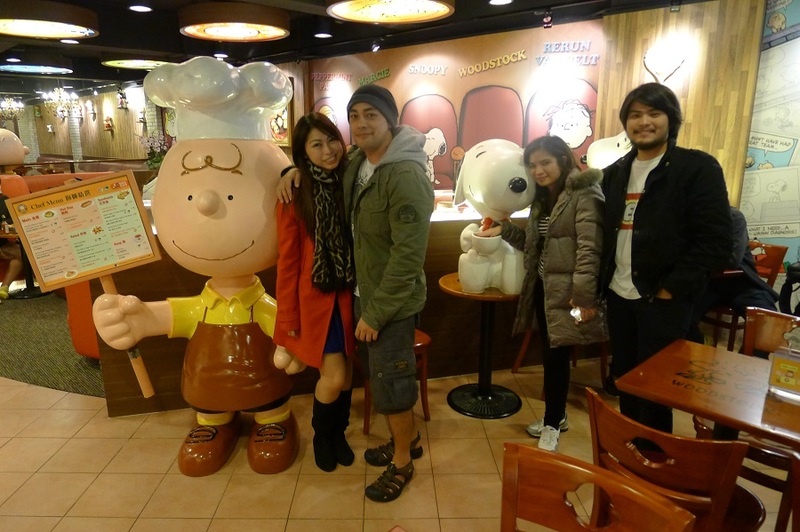 It was spent eating sweet treats in one of my favorite countries with some of my favorite people, while being surrounded by Snoopy and the Peanuts gang. Now you know why I call it a “dream come true”! 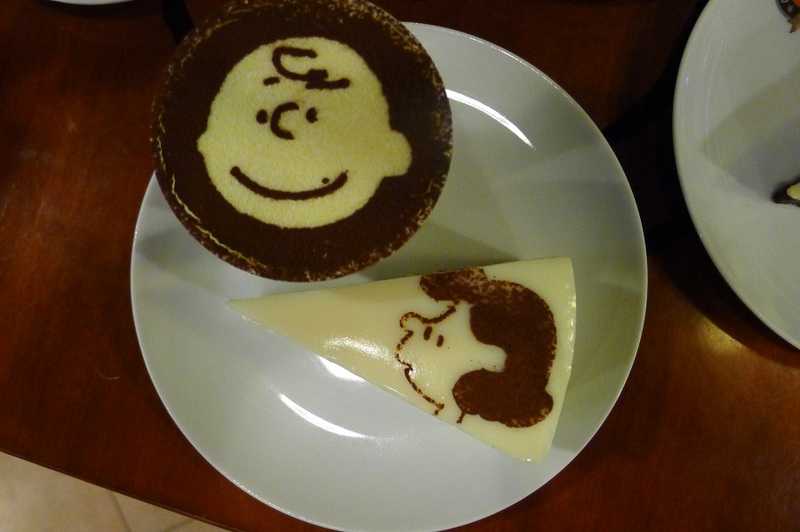 wow, so nice, we are fans of Charlie Brown, I keep a set of Charlie brown encyclopedia which my kids love to read. 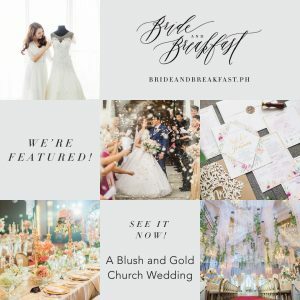 Your story and photos are enticing! 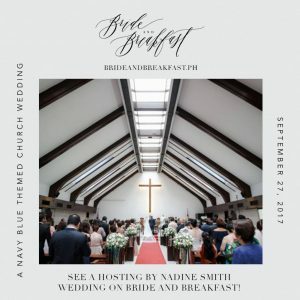 We are planning to go to HK on August, so I will bookmark this now. I need to plan where to go, etc.. 🙂 Very nice photos and write-up! Enjoy! Love it! 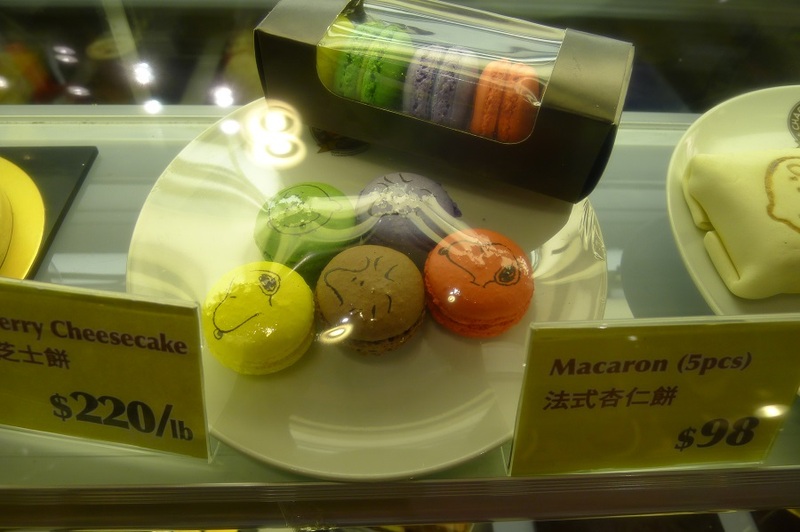 So many odd cafes in Hong-Kong! 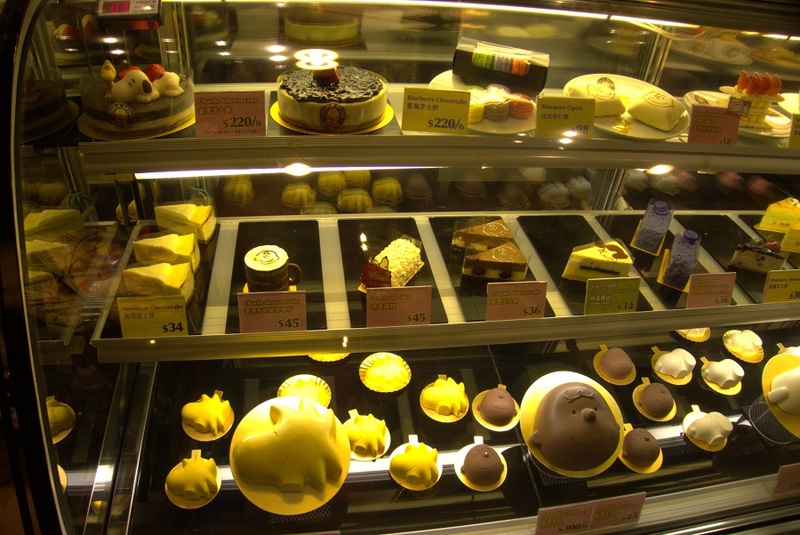 I heard there’s also a Hello Kitty Dim Sum in the same area! 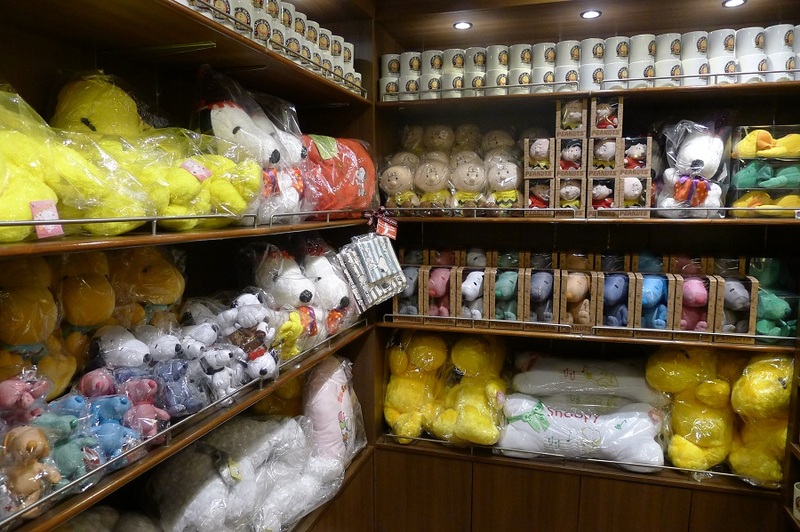 If you like cute, it’s one of the places to be!